FREDERICK, Md. 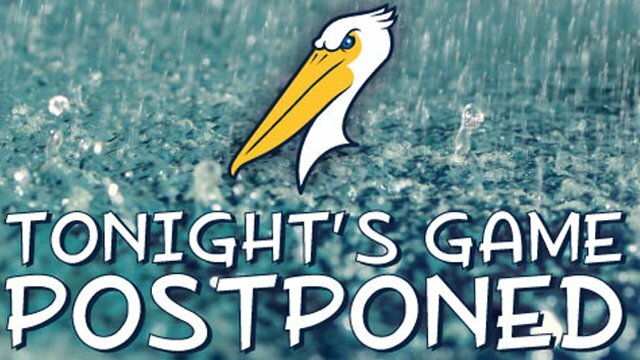 (August 31, 2018) - Friday's series opener between the Myrtle Beach Pelicans and Frederick Keys has been postponed due to inclement weather. The game will be made up as part of a doubleheader on Saturday, September 1, at 6 p.m.
Myrtle Beach sends LHP Bryan Hudson (6-11, 4.96) to the mound in game one while RHP Erich Uelmen (3-3, 4.50) starts the finale. Coverage begins at 5:45 p.m. on MyrtleBeachPelicans.com/Broadcast, the MiLB First Pitch app and TuneIn.